Chasing Cottons: You have got to be in it..to win it!! !...and i DID! You have got to be in it..to win it!! !...and i DID! ... a few weeks ago my luck changed! I WON!! and not only a little Giveaway...i won BIG!! 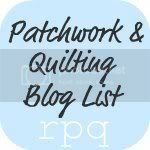 The most lovely Jennie from Posie patchwork..hosted a giveaway ... I had totally forgotten i had even entered..i tend to do that....and she contacted me with the good news....actually GREAT news!! a handmade sewing kit...so cute! plus a couple of charm packs...buttons, a clip.. HEAPS of stuff!! Let me tell you about this book....You can read all about it HERE but basically it is known as a Designers Collective. It all started with Julie Nichols, she had a vision of a "Market" shop open 6 days a week...this turned into a real shop owned by Julie and Rachel Evagalou called Handmade Canberra. Its located in Canberra Australia...(I'm dying to go!!) Designers from all over Australia sell their handmade crafts in their shop. Tania McCartney (author of a few other books) had a similar vision, like Julie and Rachel's shop, to create a book...One full of all things handmade....So together, in Dec it was released..and has been a HUGE hit!! The book - Handmade living: a designer collective is a collection of incredible projects, ideas and inspiration from handmade designers all over Australia. It is just amazing. 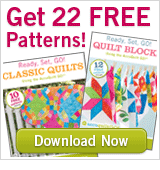 There are over 70 patterns. The book is divided into groups, Nest, Cloth, Adorn, Little, Indulge...etc. Its jam packed full of inspiration and projects. There are so many beautiful things...i cant put it down. I feel like I'm walking through the most amazing market surrounded by gorgeous gifts to buy.... and this book goes one better..... gorgeous gifts I can MAKE!....and i just cant wait! It also contains web page and blog address of these talented designers...which i love!! 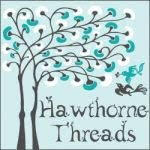 I just love finding new blogs and browsing through, reading all about them and their different crafts. These gorgeous fabric fortune cookies are definitely on my to do list... along with this cute travel pillow. Nearly every page has a different pattern. You can read HERE what other people are saying about this book. They look like clothes pins to me. Congrats on the win!!! You did very well. Gorgeous fabrics, cool book. Congrats! With all the giveaways you do I am glad you had the chance to win one. Yay! I'm 90% those look like old fashioned clothespins. Hi gorgeous Bec, the twines are wrapped around vintage wooden clothes pegs, just for decoration, but they are fun to make dolly pegs from (imagine the top is the head, the long prongs which hold clothes to a clothes line, are the legs) & off you go. The market was acutally started by Julie Nichols, the shop is owned by Julie & Rachel Evagalou (i work there too) & the book is by Tania McCarthy, she's a real proper author & writer, with other books including childrens!! Handmade Living is the first of a gorgeous collection of handmade lifestyle books. Rebecca - hurrah!! SO glad you won! Biggest congrats and I bet you went bananas with this incredibly prize, thanks to the delightful, generous and totally talented Posie. It was such a thrill to read your thoughts on handmade living - your reaction is exactly what we hoped to achieve! and your words brought tears to my eyes. Enjoy ! and make sure you you email us with pics of whatever you create! Wow, what a fantastic win Becky, you deserve it. Enjoy!! That is an awesome win! Congrats to you!!! I have both those charm packs too! Those prints are amazing, and I want that book! Good for you on that win!! Wow - you really did win! I have no idea what the pegs are for! What a great win! Congratulations! Woohoo, go Bec! You sure are a lucky duck! That book looks really interesting and I'll have to look around and see if I can get a peek at it here in Canada.